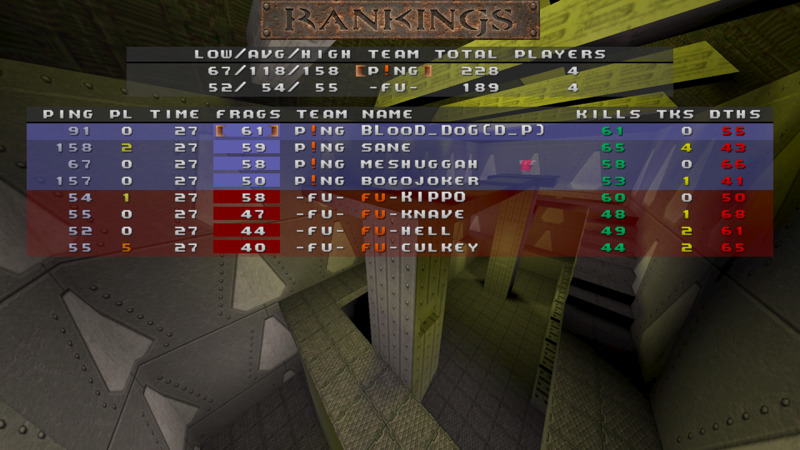 Nice sportsman by Sane, letting Blood_dog be the top scorer on DM3 to increase blood's self confidence. Ovr I'm surprised you were able to form a complete sentence with sane's **** blocking your view. Seriously though, these were great games and the last 2 minutes before OT were tense! Blood, why you gotta be so rude? Don't you know I'm human too? 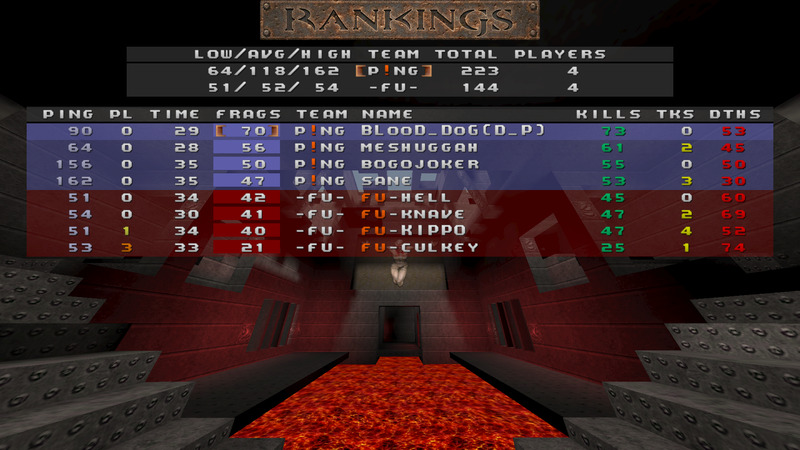 Szturm, demos are on quakeworld.co.uk:27500, I believe demo # 809, 810, 812, 813, 814, 815 (for our 3 matches last Sunday). If you have trouble downloading them you can ask me on IRC.